I have the original iPhone which I purchased the day after launch in the UK back in November 2007. I've yet to upgrade and have used the phone every day since, I think it may only have been turned off for a maximum of a few hours at a time for things like exams many years ago. 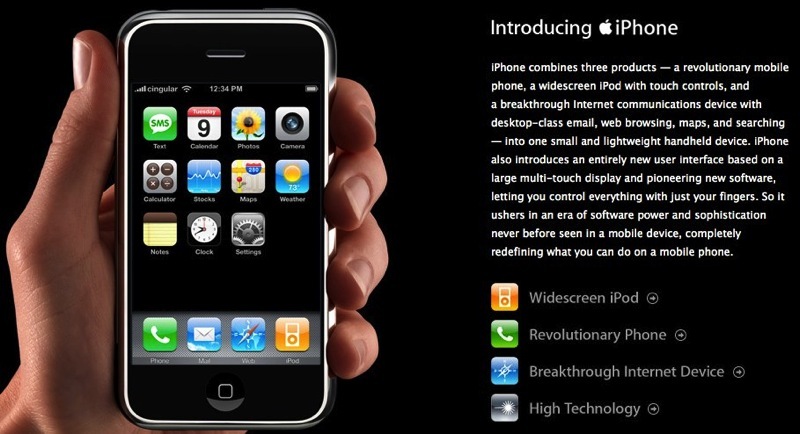 Some of the more amusing moments recently have been when people ask if it's the new iPhone, I guess they had forgotten what the 2G looked like. The only part thats failed on the phone is the headset which I had replaced once under warranty, the current one has also stopped working. The phone has also never been in a case, though I've been careful with it over the years, so it's still in good condition, no scratches on the screen and only one hard to see dent on the back. The chrome strip around the screen is looking a little worn though. So whats it like for my day to day use. Music - Works fine, can listen to music for quite a few hours. Games - Angry Birds, Star Defense, Zenonia, Zen Bound, Galaxy on Fire, Monkey Ball and others play fine though some are a little slow. Can only play for around an hour or so on the battery. Updates and New Applications - There are none available, make sure not to auto update the apps in iTunes. Overall its slow and there are no new apps or updates for it, but it still works fine. The most frustrating thing is that older versions of the apps are not available so apps that used to work fine on it can no longer be purchased or downloaded for it. The battery life is still not bad, I leave everything turned on (WiFi, Bluetooth, Location, Notifications), and charge the phone at night so it's good for the next day. Though this isn't completely necessary as it will run for a good few days of light usage. The lack of 3G is annoying but most places I go have WiFi. The lack of GPS is another issue, though not one that I'm that bothered by. As well as the original iPhone I also have an Apple Bluetooth Headset to go with it, the battery life on the headset isn't that great any more but it does the job, though I rarely use it. When I first bought the phone I said I would use it until it broke, was lost, or the battery life became so bad that it's unusable. It isn't that time yet though probably soon it will be. I've watched the release of every new iPhone since, where I've been pretty excited to see it but decided not to buy as it either wasn't a big enough change (the earlier models) or was out of my budget especially as my phone still works (newer models). iPad 3 - 7 months. You don't seem to realize Tim Cook was (and still is) the guy who maintained the operations of Apple when Steve was at the helm. He is doing exactly what a CEO should be doing.